One (1) ticket for the Northville Township Fireman's Ball on Saturday, February 16, 2019. Join us as we dine, drink, dance and donate with friends, family and neighbors to raise money for the Northville Township Firefighters Charity Fund and other great causes. Ticket includes plated dinner, open bar from 6pm until midnight and live entertainment from the Killer Flamingos. Live, silent and raffle auctions will also be available for purchase. Another great year working with Bridgepointe to Adopt-a-Classroom! Every year the NTFFCF adopts a classroom in Detroit as part of Bridgepointe's annual school program. This was our 5th year being involved and we had a great time with the 4th grader's at Maybury Elementary! We were excited to take part in the donation of a special needs "Buddy" bike for a local family. Not only did we make a donation, but we were lucky enough to be part of the big reveal at Millennium Park. We hope you enjoy your bike Ben! We were proud to take part in Northville High School's Varsity Baseball Team's Armed Forces Day on May 21, 2016. We donated 25 care packages to be shipped overseas to our active military. A big thank you to Northville Baseball for putting together such a great event. It is nice to see our youth giving back to those that are serving our country overseas. A big thank you to the United States Armed Forces for all that you do and for taking part of your Saturday to stop by in a Blackhawk helicopter. We partnered with Beaumont Hospital and Northville High School to host the Student Heart Check on June 11, 2016. Beaumont screened almost 400 students and recommended that 52 students follow-up with their physicians, and 2 students stop athletic activity until they see a cardiologist. This program was designed to help identify dangerous cardiac rhythms and to identify students that have an underlying condition. Along with the screening, the Northville Township Firefighters taught over 600 students and adults how to perform Hands-Only CPR and use an AED. Thanks to Beaumont for helping put on such an awesome program! We also made a $5,000 donation to the Beaumont Student Heart Check program to help bring this screening to other students across the state. Keep it up! We were proud to partner with our local Meijer store and their Simply Give program to support the food bank at Civic Concern. With the Simply Give program guests can purchase gift cards that Meijer will match to the local food bank. During September 3-5, Meijer doubled their regular match which made our $2,500 donation a $7,500 Meijer gift card donation to Civic Concern. Great job everyone! For over 60 years the Muscular Dystrophy Association, more commonly known as MDA and the International Association of Fire Fighters (IAFF) have partnered to help save and improve the lives of people affected by muscular dystrophy, ALS and other diseases that severely limit strength and mobility. As you are traveling around your hometown keep an eye out for firefighters everywhere "Filling-the-Boot" to help fight these terrible diseases. The Northville Township Firefighters, IAFF Local 3961 participated in Fill-the-Boot over on Saturday, August 29 and Sunday, August 30, 2015. With the help of the of our generous donors we raised over $4,000 to support the MDA. A big thank you to all of those who stopped and helped Fill-the-Boot! On Saturday, February 14, 2015 we hosted our 12th annual Fireman's Ball. Our organization made a committment to Northville High School to develop a student cardiac screening program for high school athletes. We are hoping to have this program up and running by the end of this school year and ready for the fall of 2016. Special thanks to NHS Principal Tony Koski and Athletic Director Bryan Masi. We spent a great afternoon celebrating Christmas with the students of Ms. Taylor's 4th grade class at Maybury Elementary. In partnership with Bridgepointe we adopted Ms. Taylor's class and provided a fun afternoon with cookie decorating, making gifts for the students families and friends and more. We also made sure every child went home with school supplies, personal hygiene products, food for their family and of course, toys. Special thanks to our wives, girlfriends, and family members for helping make this day special for both the students and for us. It's a privilege to work with Sue Campbell and Northville Youth Assistance. They are always doing such positive things in the community. Thank you to the Northville Record for getting the word out. We donated over $350 in gift cards for NYA mentors to use during their volunteered time. 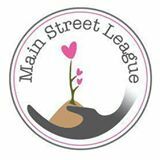 We recently began working with the Northville-based Main Street League (MSL) to support great local causes. In September, we donated to their 1st Annual Whiffle Ball Tournament to raise funds for a domestic violence shelter in the area. We are proud to have been a part of the event and look forward to continued work in the future.